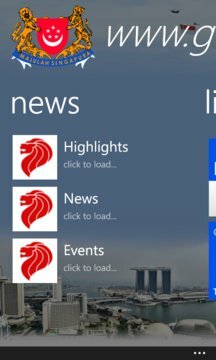 This is an unofficial port for Singapore's www.gov.sg's iOS and Android apps, until such a time where an official app is published, if ever. The www.gov.sg Portal is the electronics communication platform of the Singapore government. This portal, together with three other portals - Citizens and Residents, Business, and Non-Residents - collectively make up the Singapore Government Online (SGOL) presence. 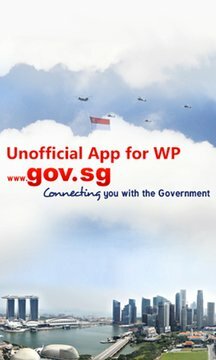 The www.gov.sg Portal serves as a convenient gateway for you to locate information about the Singapore Government - such as news and speeches, information resources, e-services, events calendar and contact information of public services agencies. Looks a lot better on Windows Phone too!